The centralized nature of wikis can transform your human resource department in a multitude of ways. The human resources department can utilize a business wiki in maintaining an up-to-date employee handbook, dispensing information about health plans, or making general office announcements. Corporate wikis allow your HR department to see the changes being made to the employee handbook instantly. There is no need to wait on documents being passed and received via email, individual updates, or time spent working on collating the updates. Each contributor has access to the handbook, therefore work can be done collaboratively, faster. No longer do you have to wait for typo or phrase corrections or updates that need to be made instantly. Each contributor can make changes when needed, ensuring a consistent document is presented to all viewers. Getting the final document “perfect” takes contributions from several knowledgeable sources. The comments, questions and suggestions present in the form of discussions on the employee handbook wiki, act as direct inputs for the HR team to know what needs to be updated. Experts from the HR team can collaborate on the document to chime in without slowing down the overall flow of progress. Reinventing the wheel always uses time that could be better spent on other tasks. By reusing information future versions can easily be created from old, trusted knowledge. 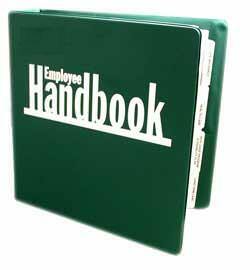 Publishing the employee handbook on the wiki provides employees with an up to date version while reducing confusion about which version of the handbook is the latest and refer to it for daily usage. The above reasons are why it is highly recommend to incorporate wikis into the HR department’s game plan. One major benefit of using wikis to manage the employee hand book is that your final product is completed in less time, which benefits your company in a multitude of ways (time, costs, and productivity are just the beginning). If you are looking at implementing an enterprise wiki software for your company or HR department, see how Cyn.in can help you build a secure collaborative environment.